Yesterday I took a shotgun ride in probably the coolest car ever. The 2016 Ford Mustang, California Special Edition. 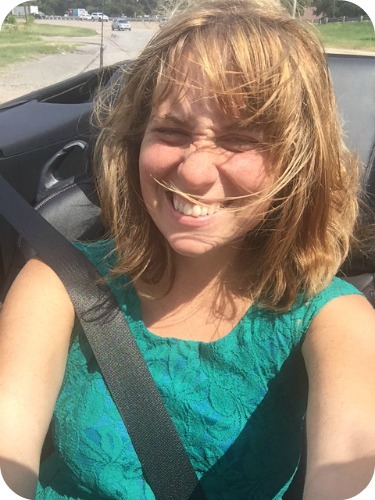 The top was down, the wind was blowing in my hair and Taylor Swift was on the radio. 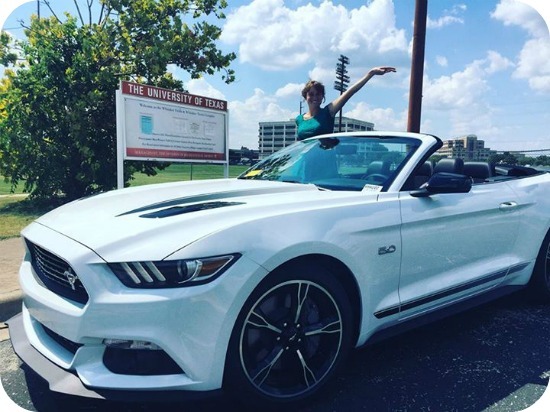 The Mustang makes you feel like summer could go on forever. I’m Christina, the social media representative at Leif Johnson Ford. This means I am the blog writer, the social media updater, employee and customer interviewer and etcetera. It’s a fun gig, but it’s especially fun because of where I work and who I get to work with. I’ve made great friends and taken some great rides. Cruising around in F-150s, Mustangs, Fiestas and every Ford in between has taught me that these rides really are Built Ford Tough. Ford truly focuses on safety, reliability and innovation like no other car company. Did you know they’re working on an Apple watch to pair with and help control your car? Or that they’re developing a spider screen to keep the creepy crawlies out of your vehicle? Or that the 2015 F-150 earned a five star safety rating? Or that Ford ranks #1 as the best Global Green brand? But it’s more than just how awesome Ford is as a whole. The best part is that the people at Leif Johnson truly care, and will go out of their way to make things right for their customers, or fellow employees. It’s the lifelong friendships I’ve witnessed in action, the team members who have been friends for decades and decades. It’s the repeat customers who enter with a smile on their face, chumming around with our team because they are not just customers, they are Ford family. It’s the service tech who gets excited about being able to service his neighbor’s car. It’s the customer who names her F-150 Emma Jane, and sends us family pictures with her newest addition. It’s helping the community; seeing the looks on kids’ faces after they tell us about a new book they’ve read or when they receive a new vehicle for Christmas. It’s the honesty and integrity of a dealership that has been an Austin staple for nearly sixty years. That is what makes Leif Johnson Ford, and my job as their social media representative, so special. We truly do care. It’s truly a privilege to witness and take part in that kind of a business.